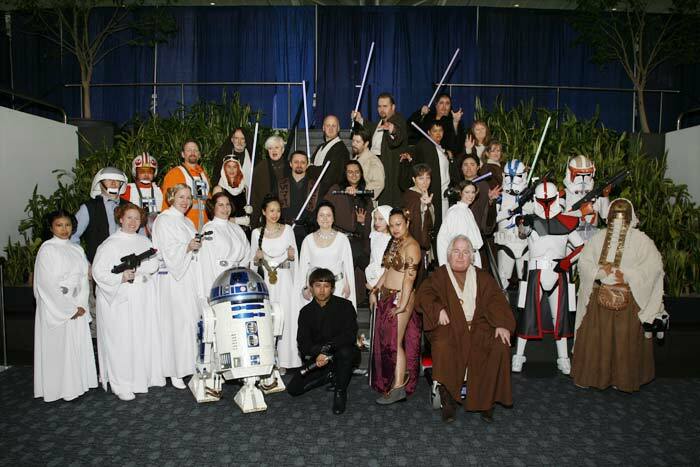 The Rebel Legion is an international Star Wars costuming organization created by, of and for people interested in creating costumes from the Star Wars mythos. Research, create, build and improve your costumes in a place where costumers with similar passions share skills, tips and ideas. Jedi, Rebel Pilots, Troopers, Princesses and even Wookiees…. we’ve got them all….and we’re always looking for more. What makes us good guys? Besides our ‘Good Guy’ costumes, our worldwide membership often choose to give back to their communities (through costumed volunteer activities and charity events). No one can provide the public with a greater range of Star Wars costumes, nor a more personable, interactive, face to face experience.